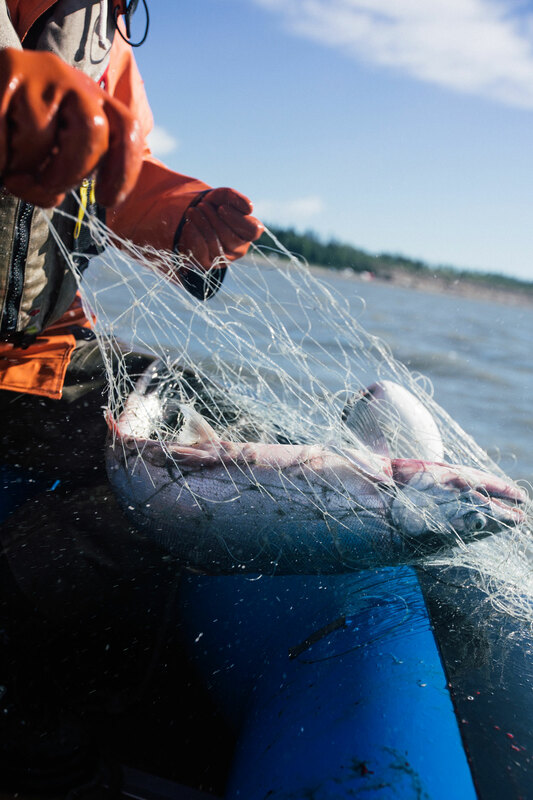 For fishermen seeking their share of the world’s largest salmon fishery, waiting is part of the rhythm of the season. Waiting for a date, a time, a location. Then, fast and furious, they fish. 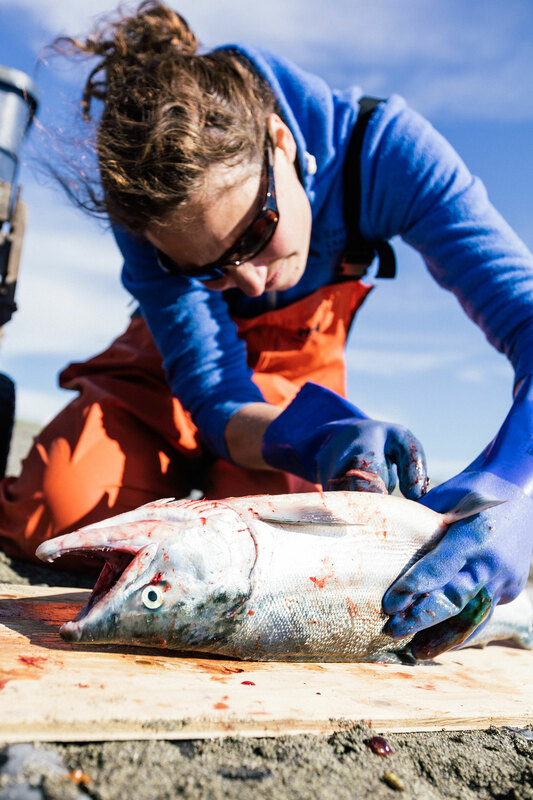 As a fish geneticist, Tyler uses science to determine which salmon sources are represented in the fish that run each year. 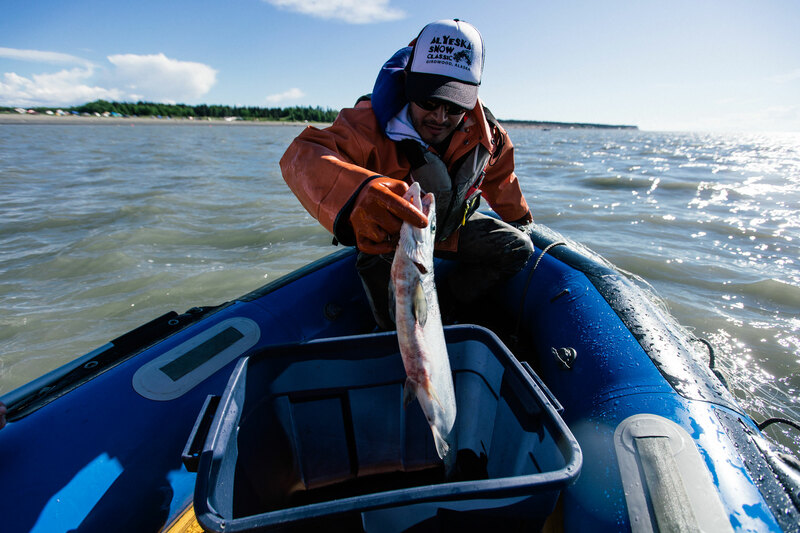 His research is one tool fisheries managers use to guide the fleet to the most abundant areas. 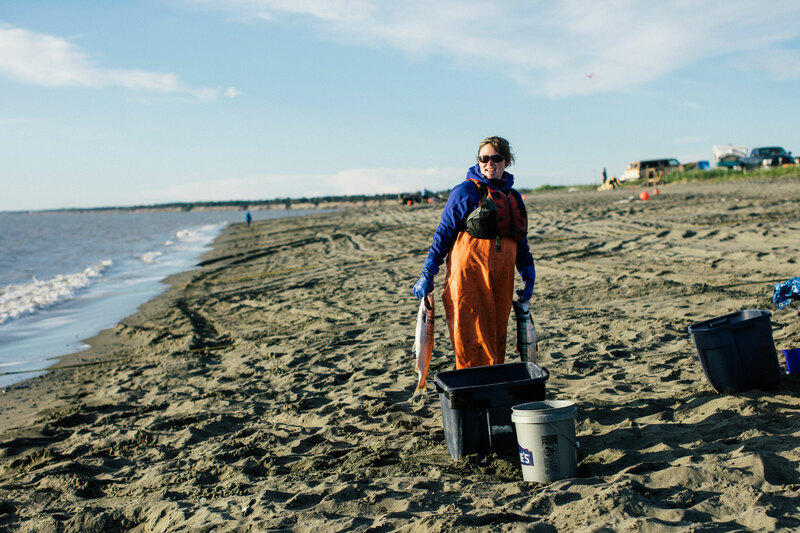 This teamwork aims to maintain diversity and keep salmon populations strong. “It’s just exciting to be in the mix of all the stuff that’s occurring on an almost hourly basis,” Tyler said. Tyler and his team at the Alaska Department of Fish and Game and Bristol Bay Science and Research Institute collect a sampling of salmon, take a small fin clip and analyze the DNA. 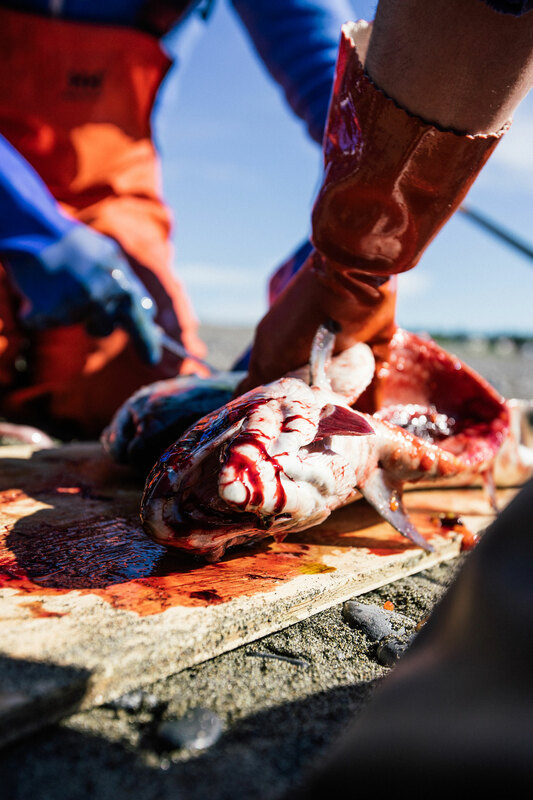 That one small tissue sample explains a lot: Where that fish came from, how long it’s been at sea, how robust its population is. Over time, this information is very telling. 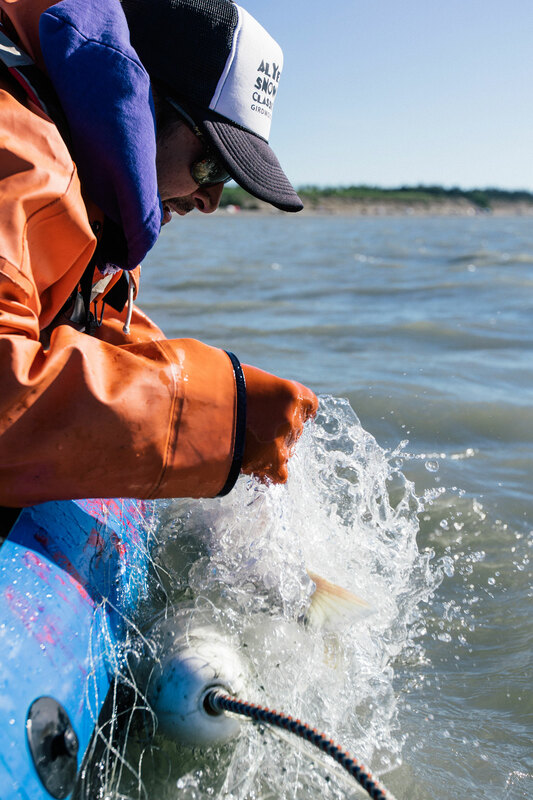 How stable are salmon populations? How diverse? What are their migratory trends? Are the fish we see today still going to be here tomorrow for our children and grandchildren to catch, respect, learn from and enjoy? Are the fish we see today still going to be here tomorrow for our children and grandchildren to catch, respect, learn from and enjoy? That last question motivates Tyler. He grew up with salmon as a natural part of his family life. For Tyler, it’s hard to imagine childhood any other way. 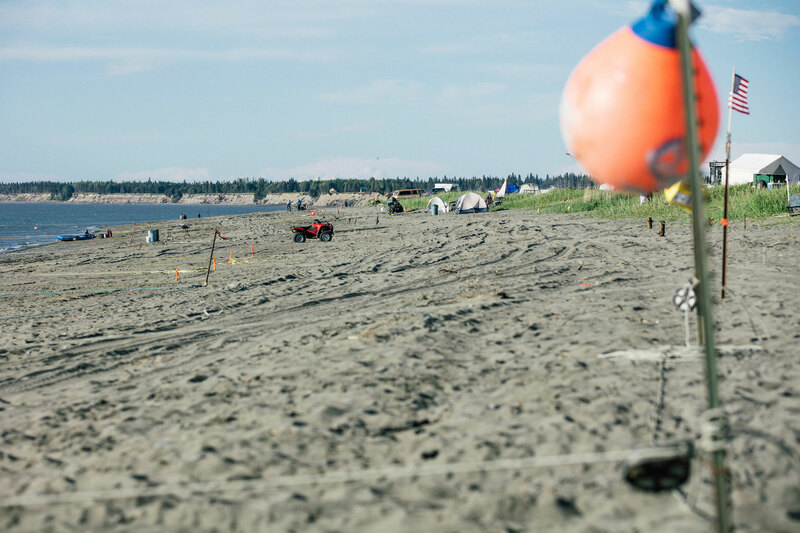 At his grandma Ellie’s fish camp just off of Cape Nome on the shores of Norton Sound, Tyler would play on the beach while his dad and uncles would fish for their families’ salmon. He would catch smaller fish in the surf with his cousins and poke at bloated walrus carcasses with sticks. 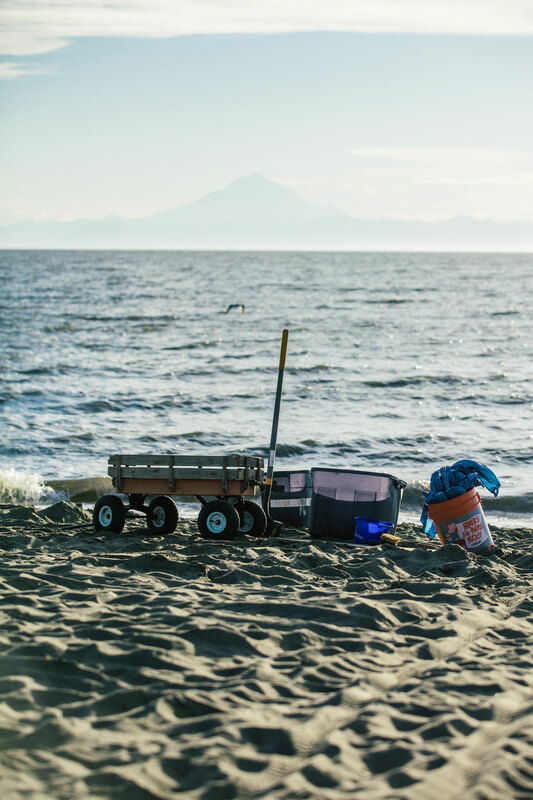 Tyler’s family has a long history in Alaska, living with the land and sea. His mother is St. Lawrence Island Yupik from Savoonga. She moved to Nome when she was about 14 years old. “My grandma put a high priority on education. 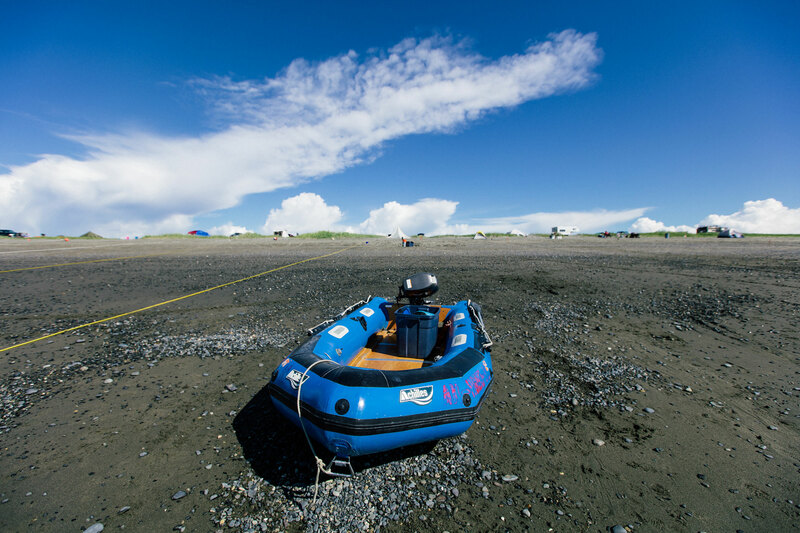 There was no high school in Savoonga at that time so they moved to Nome so my mom and aunties could go to school,” Tyler said. 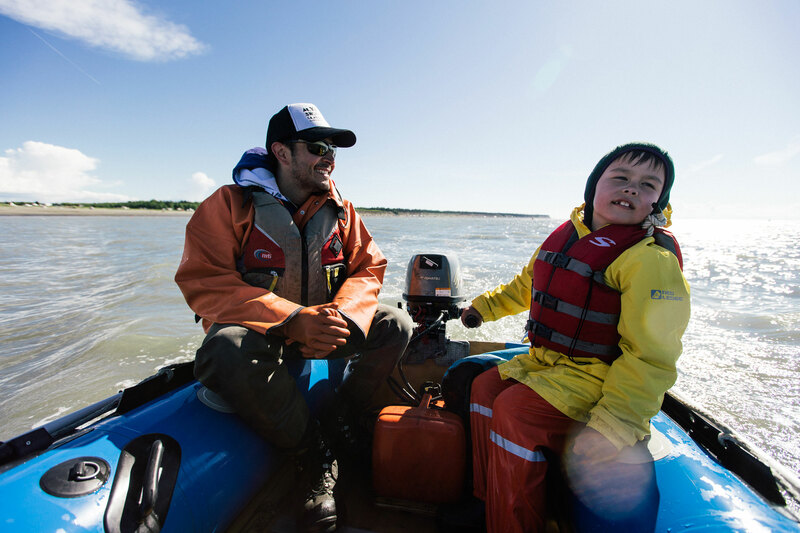 Tyler’s California-born dad was setnetting in Bristol Bay when limited entry was introduced, allowing the family to continue their ocean-loving tradition when they moved to Anchorage. 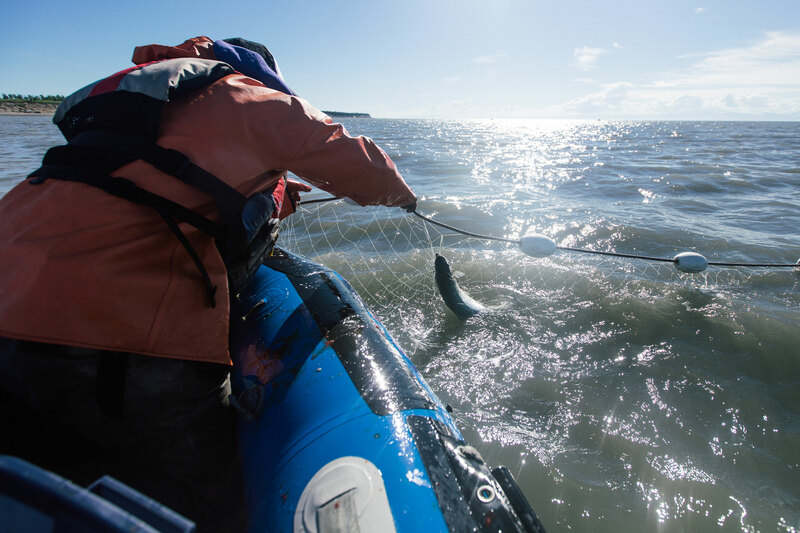 His passion for salmon and the way of life it fuels in Alaska motivates his work in science and drives his perseverance toward maintaining the healthiest salmon population possible. 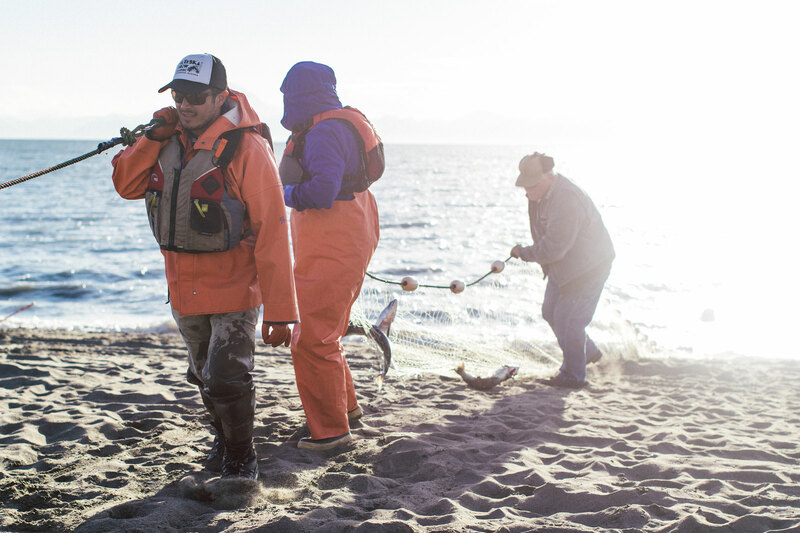 “We are all focused on the goal of sustainable salmon fisheries for all of our descendants and I think that’s a really cool thing,” he said. 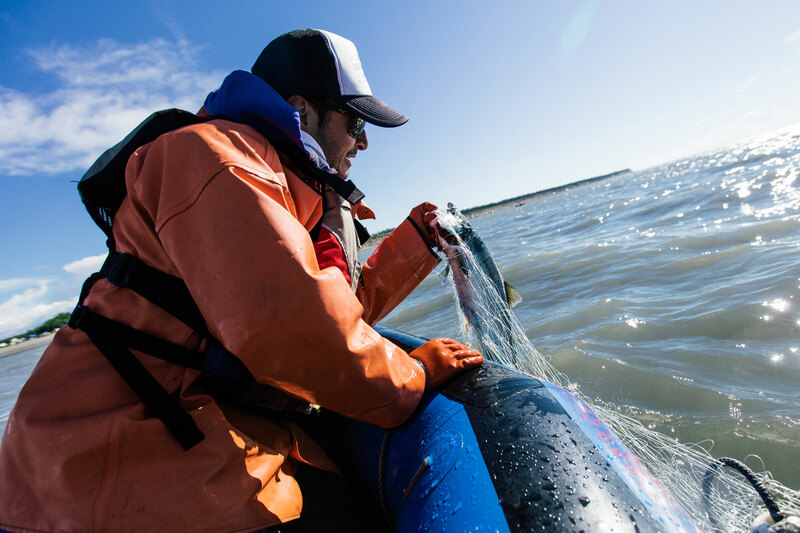 As part of his job, Tyler loves the occasional day spent with middle school students, guiding hands-on life cycle discovery with pre-teens learning the science behind Alaska’s great salmon resource for the first time. 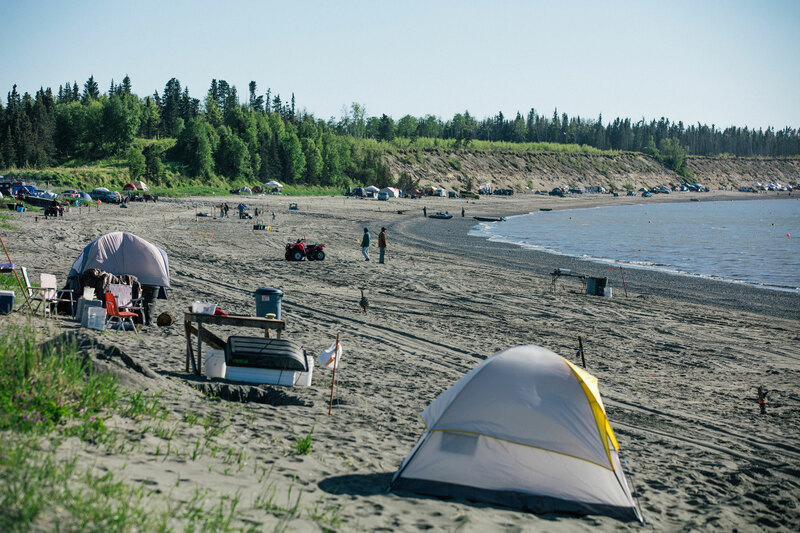 “It teaches them that we have a connection right here on the land where we live. 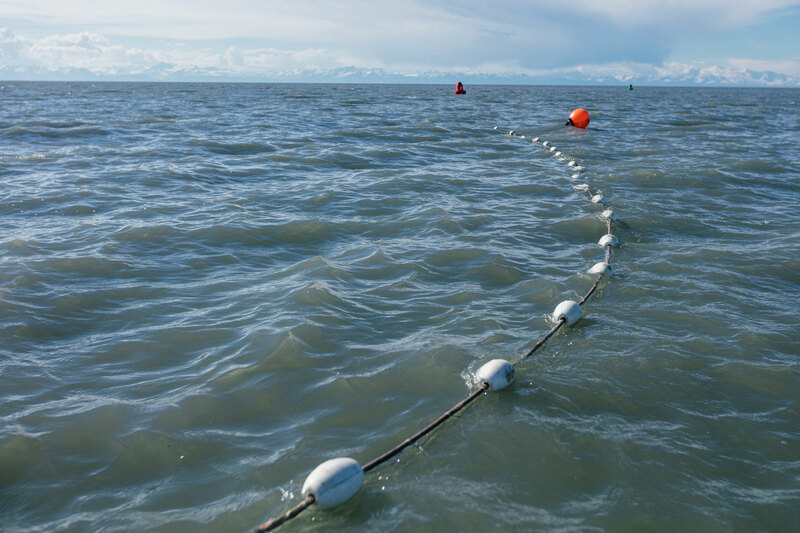 This is where salmon start out and return to,” he said. Tyler sees salmon love in his own children. 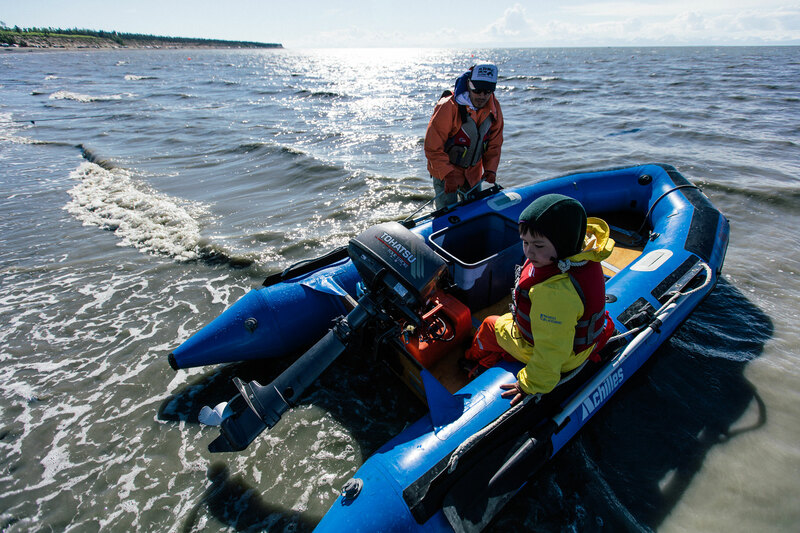 At ages six and three, they’ve already dove into the rigors of harvesting fish while assisting their parents in the Kasilof personal use fishery every year. 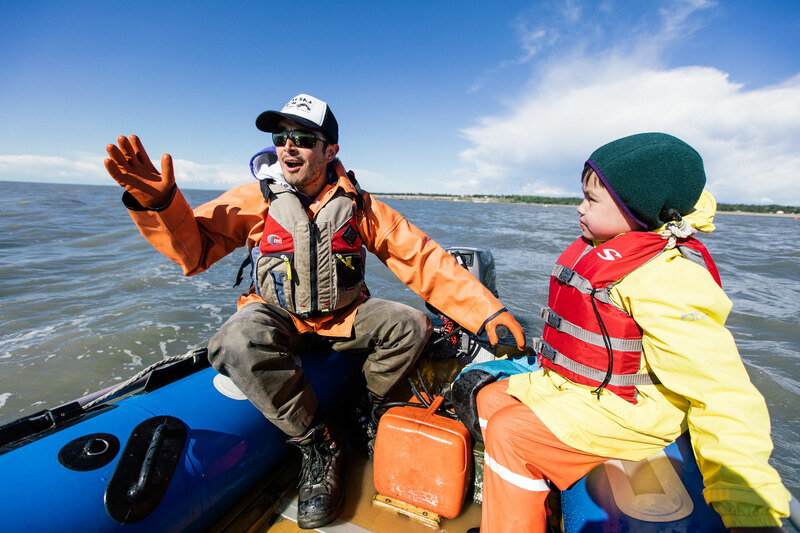 Tyler teaches gentleness while handling fish and enjoys showing his kids the systems they discover. His kids think the fish are pretty cool, too. “They love salmon. They love fishing,” he said. Much like he did at their ages. And much like he continues to do today. Tyler also feels connected to the dedicated team of scientists he works alongside. 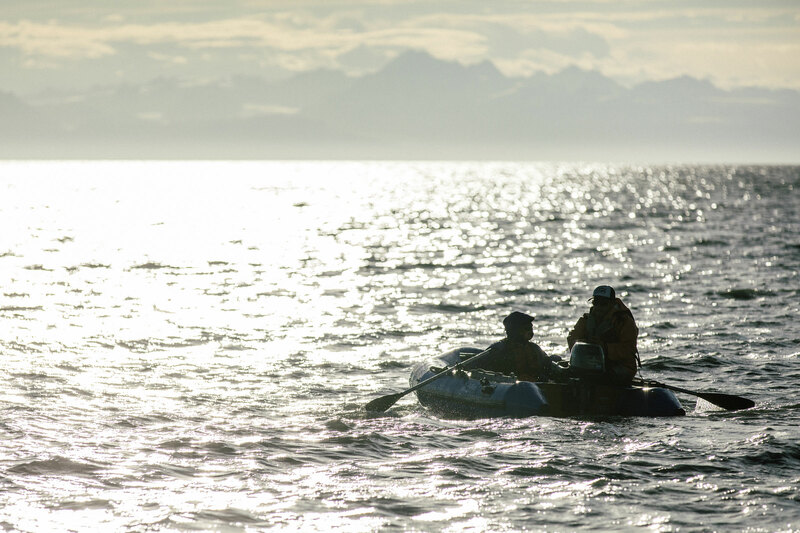 They work together, united by their love of Alaska and the fish that binds them to each other and their home. 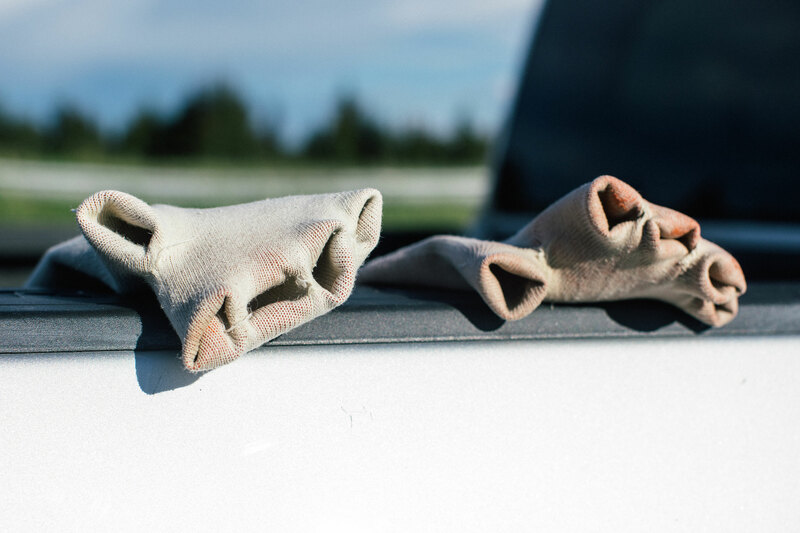 Kerry Tasker is an editorial portrait photographer based in Anchorage, Alaska. He has worked freelance for Invision/Associated Press, Entertainment One Films, Affinityfilms, Alaska Dispatch News, the Anchorage Press and First Alaskans Magazine. Tasker’s personal photography is inspired by his deep interest in the Alaska wilderness and manifests in images that capture the sublime vastness of the Alaskan landscape.